Do you play pickleball? No need to let your skills fade while you’re on a beach vacation at ‘Tween Waters, you’ll find pickleball courts right on site. And if you haven’t tried this addictively fun sport, it’s time to get on the pickleball train and see where it can lead you. Pickleball is older than Doritos. In fact, the game was created the same year that Spaghetti-O’s were introduced and the iconic movie, The Sound of Music, was released. The year was 1965. Crazy, right? If you’re late to the pickleball party, you needn’t worry. The game is easy to learn and easy to play. Maybe that’s why it’s the fastest growing sport in the United States. So, what is pickleball? Country music singer and avid pickleball player, Jake Owen, describes it this way, “it’s a short version of tennis, but with a paddle and a wiffle ball.” It’s played on a badminton-sized court, using a net that’s two inches shorter than tennis, and an oversized ping pong paddle. Did I mention that he plays pickleball with Kid Rock, who installed a pickleball court at his house? You have got to try it. No matter how young or young-at-heart you are, you can play pickleball. And it’s a very social game, especially playing doubles, since you stand so close to each other. Prefer other sports? You can always play tennis on the lighted courts at ‘Tween Waters or beach volleyball across the street, right next to the sparkling Gulf of Mexico. But I hope to see you on the pickleball court – soon. Playing a doubles game of pickleball. Pickleball is suitable for all ages. FORE! ‘Tween Waters Inn has a partnership with Sanibel Island Golf Club — just a short drive away — which includes a 10% discount to our guests when you show your keycard. AND, as the lucky man of the hour, I’m certain your companions will give you a mulligan or too if you find yourself in a sand trap. Make your tee time at 239.472.2626. GET MOVING! If you’re looking to burn off some excess energy, there’s a multitude of activities to keep your groomsmen and you active. 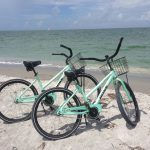 Try beach volleyball (grab a volleyball from the front desk), bike the beach (check out fellow Innsider, Lyle Fitzsimmons tale of beach biking), or hit the courts and show off your best backhand (just try to keep from diving — your partner won’t be happy with a groom limping down the aisle). WET AND WILD! The bachelor party’s over, so not “that kind” of wild. Think wild animals. Manatee bumping your SUP paddleboard. A kayak trip through the mangroves. A snorkel trip with the dolphins. 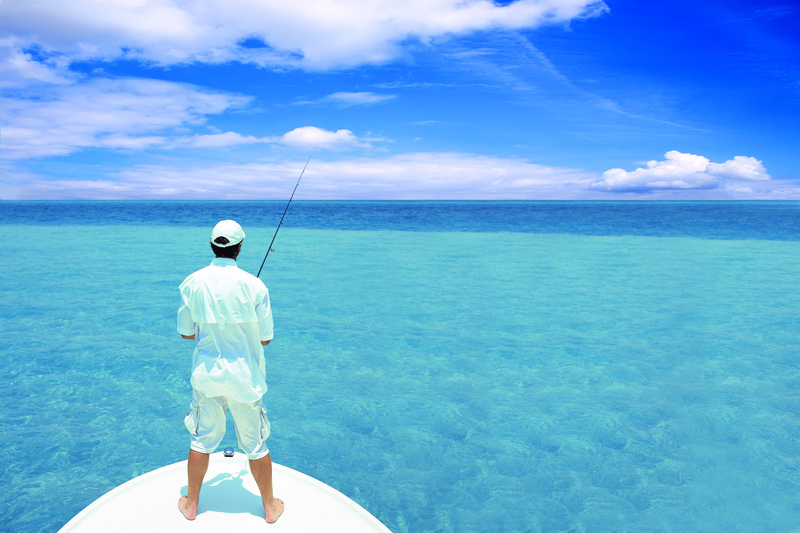 A wild morning fishing trip to catch the “big one.” Just keep those cigars dry! Thinking of seeing your partner on the wedding day? Plan a couple’s massage at the Spa at ‘Tween Waters Inn, for the perfect chance to relax before a night full of dancing. RELAX! Duh! You’re sandwiched between two bodies of beautiful water, hanging with your best buds, getting ready to commit yourself to a lifetime with your partner — of course you need a moment of peace. Sit back on the beach in a rented cabana, smoke a cigar, let the drinks flow lightly, and drift off to the sound of the waves. After all, you need your rest for a big night ahead. If you’ve got time to spare, write a little message to your partner, check in with your parents, or meet up with the florist or photographer, all to take the pressure off your future spouse. And then take a deep breath. Everything is going to be perfect.